Driving from Kamienna Góra down the road no 367 for Szczawno Zdrój you should in Czarny Bór turn right towards Kochanów. On the way there is Grzędy, where you ought to stick to the main road until you arrive in a longitudinal, grey building. Behind it you need to turn left into the asphalt road. After travelling around 300m you reach the crossroads with a different asphalt road, at which you need to drive ahead. Just past it turn right into a dirt road and drive or walk straight ahead around 100m. 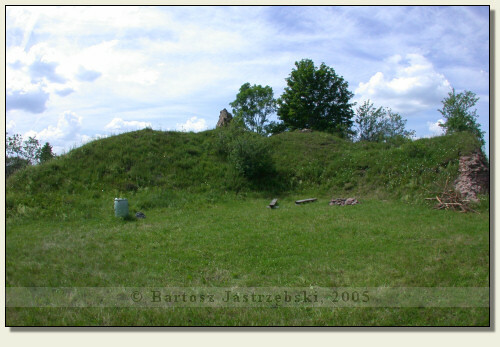 In the field, on the right side there are the remnants of the Konradów Castle. 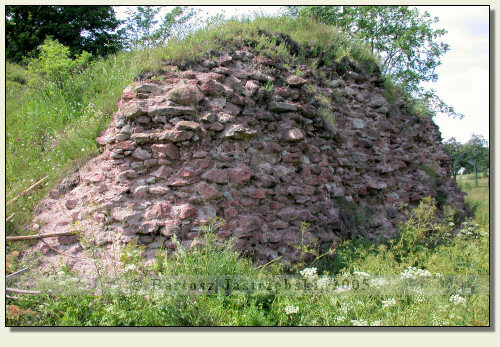 Time of building the castle in Grzędy is not clearly known. 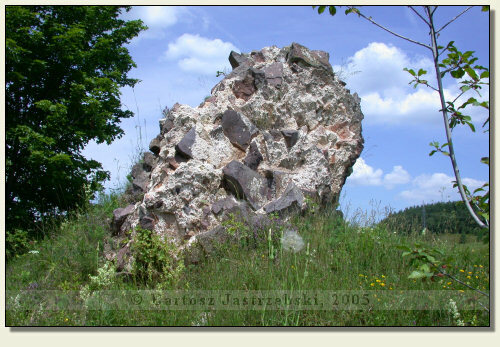 One of hypotheses says that it took place before 1324 whereas the other assumes that the castle arose before 1355 on the initiative of Bolek II of Świdnica-Jawór. 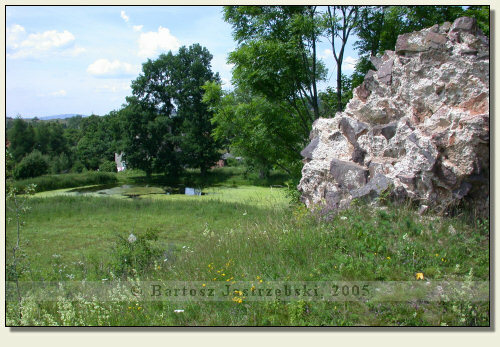 In 1364 the stronghold came into the property of the von Hackenborn family, and in 1374 was purchased by the member of Bolcze family – the owners of the Cisy Castle. Through the following 50 years the castle was repeatedly changing its hands. The destructions made during Hussite wars (probably in 1429 and 1437) resulted in ultimate abandonment of the castle in 1466. However, it remained the private property till the end of the XIXth cent. 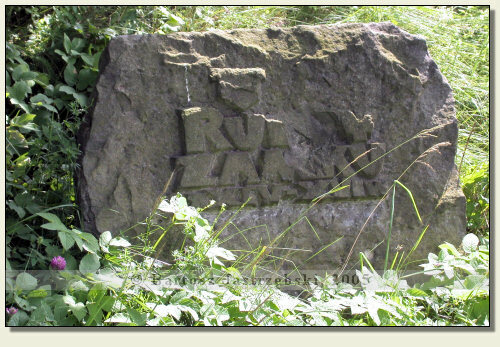 and was utilized as a quarry by Czetryc family, and later Zedlitz.